T hame has a thriving and active community life with a wide range of clubs and organisations. In this section you can find out how you can get involved in your local community and what the Town Council is doing to support projects, groups and individuals in your neighbourhood. 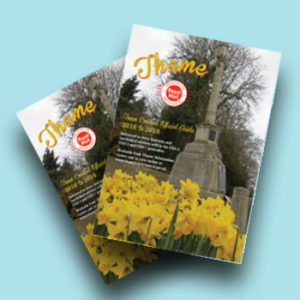 Click here to read the Thame Town Guide, which is produced by Thame Town Council in conjunction with Local Authority Publishing and includes a handy map and street index to help you get around. Find out what is going on this week, month, and year in Thame. List your own event for free. From historical buildings to beautiful parks, Thame has lots of exciting attractions and activities for all the family. Find out which Residents’ Association represents you and how to get involved. Whether driving, public transport or cycling – find out how to get around. Thame is a great place to work and volunteer. View our Opportunities Listings to browse paid and unpaid opportunities in Thame. A list of room and facilities available to hire in Thame.